Less Than One Hour Left To Earn Up To 75,000 American AAdvantage Miles With Limited Time Offers From Citibank! Update: The 75K offer below will end at 1:59pm EDT! Please turn off ad blocker to views ads and offers on our site. We appreciate your support! 75,000 miles for spending $7,500 in 3 months. The primary cardholder can bring their entire family or 2 guests into Admirals Clubs and partner airline lounges, regardless of the airline you’re flying on. 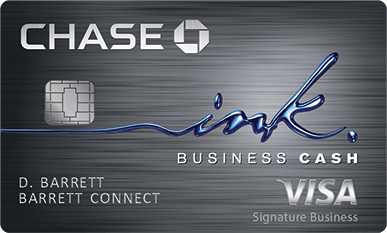 You can add up to 10 additional cardholders for free. Each of your additional cardholders can also bring their entire family or 2 guests into Admirals Clubs, regardless of the airline they’re flying on. The only difference is that authorized users won’t have a “full” Admirals Club membership, so they won’t be able to access partner airline lounges. 10,000 Elite Qualifying Miles for spending $40K annually. 2 miles per dollar on AA flights. Annual AA $99 domestic companion certificate if you spend $30,000 in a calendar year. A free checked bag for the cardholder and 4 companions. You don’t need to pay for the flight with this card, you just need to make sure that your AA mileage number is in your reservation. A free carry-on bag for you and 8 companions, even on basic economy fares. You don’t need to pay for the flight with this card, you just need to make sure that your AA mileage number is in your reservation. Priority checkin, even on basic economy fares. Priority security lines, even on basic economy fares. Priority boarding, even on basic economy fares. Get Global Entry/Pre-Check for free. 25% off in-flight food and beverages. 7,500 miles off flights to or from dozens of rotating cities. 70,000 miles for spending $4,000 in 4 months. 2 miles per dollar at gas stations, telecom, car rentals, and on AA flights. A free carry-on bag, even on basic economy fares. You don’t need to pay for the flight with this card, you just need to make sure that your AA mileage number is in your reservation. $95 annual fee which is waived for the first year. 50,000 miles for spending $2,500 in 3 months. A 10% rebate when you redeem your AA miles up to 10,000 miles rebated per calendar year. 2 miles per dollar at gas stations, on dining, and on AA flights. Annual $100 AA flight discount certificate if you spend $20,000 in a calendar year. $99 annual fee which is waived for the first year. You can get the signup bonus for either the AA Executive consumer card or the AA consumer card if you haven’t opened or closed a Citi AA consumer card in the past 24 months. You can still get a bonus if you currently have an open Citi American consumer card, as long as it wasn’t opened in the past 24 months. You can get the business card bonus if you haven’t opened or closed a Citi AA business card in the past 24 months. You can still get a bonus if you currently have an open Citi American business card, as long as it wasn’t opened in the past 24 months. You can get approved for a consumer and business card on the same day. For 2 Citi consumer cards,you’ll have to wait 8 days between approvals. Note that you can only get approved for 2 Citibank cards every 60 days. The Citi AA card offering 70K miles is a business card, but you may already have a business that needs a card to keep track of expenses. For example if your name is Joe Smith and you sell items online, or if you have any other side business and want a credit card to better keep track of business expenditures you can open a business credit card for “Joe Smith” as the business. You don’t need to file any messy government paperwork to be allowed to do that. Just be sure to select “Sole Proprietorship” as the business type and just use your social security number in the Tax Identification Number field. Business cards from most banks, including AMEX, Chase, and Citi business cards, do not get added to your 5/24 count of recently opened cards. That’s because business cards from most banks don’t show up on your personal credit report and the 5/24 count is based off of your personal credit report. That means that applying for these cards won’t “hurt” your 5/24 count. Another benefit of the card not reporting on your personal credit report is that when you spend money on personal cards your credit score will be hurt even if you pay your bill on time. A whopping 30% of your credit score is based on credit utilization. You can pay off your card bill before your statement is generated to avoid that, but that takes effort and laying out money well before you have to. Additionally it’s good to have the statement close with a couple dollars to show the card is active and being paid every month. On an business cards from banks like AMEX, Chase, and Citi it’s just not reported, so you can wait until the money is due without it having a negative effect on your score. That also means if you close the card, it won’t have an effect on your credit score. You can find American’s award chart here and their partner award chart here. Award availability is stingier than it was before the USAirways merger, but it’s better than it has been at the low points after the merger. The real value in AA miles isn’t for flying on American though, it’s for flying on their partner airlines. 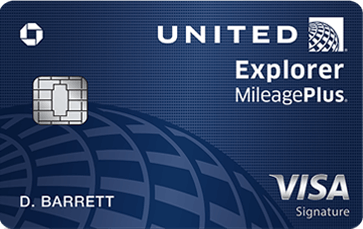 One of the best ways to use your miles when you have a Citi AA card on American is with reduced mileage awards. You can book these awards without phone ticketing fees by calling 800-882-8880. A long-haul round-trip that is normally 25K miles will be just 17.5K miles. If you have the Citi AA consumer card you’ll also get a 10% mileage rebate, making the cost just 15,750 miles. A long-haul one-way that is normally 12.5K miles will be just 8,750 miles. If you have the Citi AA consumer card you’ll also get a 10% mileage rebate, making the cost just 7,875 miles. A short-haul round-trip that is normally 15K miles will be just 13K miles. If you have the Citi AA consumer card you’ll also get a 10% mileage rebate, making the cost just 11,700 miles. A short-haul one-way that is normally 7.5K miles will be just 6.5K miles. If you have the Citi AA consumer card you’ll also get a 10% mileage rebate, making the cost just 5,850 miles. A long-haul round-trip that is normally 50K miles will be just 42.5K miles. If you have the Citi AA consumer card you’ll also get a 10% mileage rebate, making the cost just 38,250 miles. A long-haul one-way that is normally 25K miles will be just 21,250 miles. If you have the Citi AA consumer card you’ll also get a 10% mileage rebate, making the cost just 19,125 miles. A short-haul round-trip that is normally 30K miles will be just 28K miles. If you have the Citi AA consumer card you’ll also get a 10% mileage rebate, making the cost just 25,200 miles. A short-haul one-way that is normally 15K miles will be just 14K miles. If you have the Citi AA consumer card you’ll also get a 10% mileage rebate, making the cost just 12,600 miles. The valid origin/destination cities varies by month. Currently for example, you can fly to or from Akron/Canton from November-January, Atlanta in January, Aspen in October, December, and January, Aspen in December or January, Baltimore in January, Burbank, CA in January, Cleveland in January, Detroit in January, Fort Myers in January, Houston in January, Kansas City in December or January, Long Beach, CA in January, Long Island/Islip in December or January, Memphis from November-January, New Orleans in January, Oakland from October-January, Palm Springs in December or January, Pittsburgh in January, Portland (ME or OR) in January, Salt Lake City in January, San Francisco in January, Seattle in January, Tallahassee from October-January, Tucson in January, Vail from October-January, or West Palm Beach in January, or Westchester County/White Plains in December or January with the flight discount. Another great way to take aadvantage of your AA miles is with American’s partner airlines. As long as you avoid British Airways flights, you won’t pay any fuel surcharges. Flights on Alaska, British Airways, Finnair, Hawaiian, Iberia, Qantas, and Royal Jordanian can be booked on AA.com. However many of AA’s partner airlines can only be booked over the phone. These include Air Tahiti Nui, Cathay Pacific, Etihad, JAL, LATAM, Malaysia, Qatar, S7, and more. A one-way flight to French Polynesia would be 40K miles in coach or 80K miles in business class on Air Tahiti Nui, but you need to call AA to book this award. 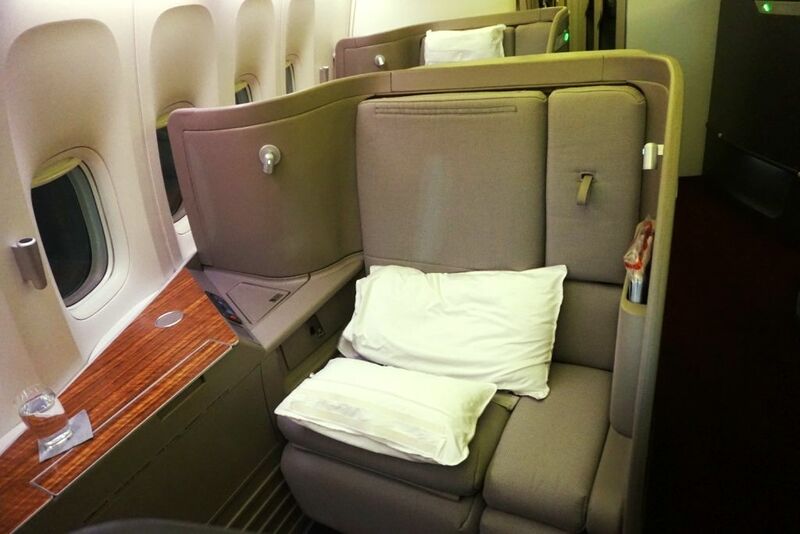 A one-way flight to Japan or South Korea would be 35K miles in coach, 60K miles in business, or 80K miles in first class on JAL, but you need to call AA to book this award. 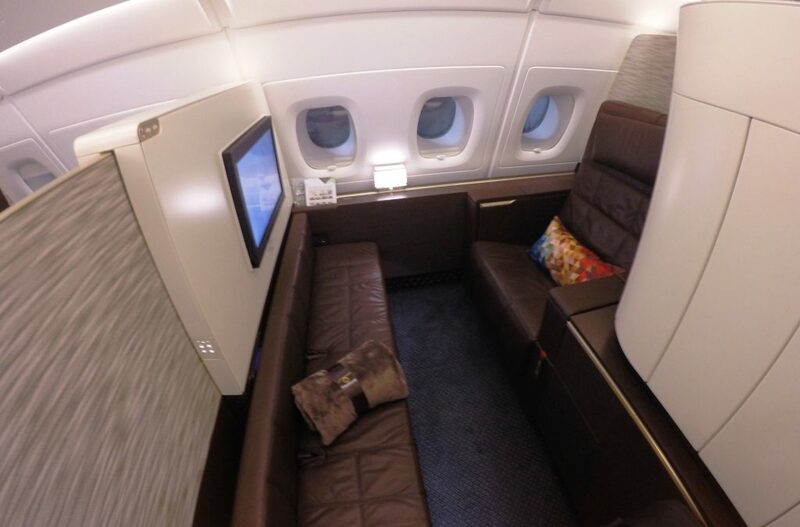 JAL offers some of the highest rated business and first class seats around! A one-way flight to China or Hong Kong would be 37.5K miles in coach, 70K miles in business, or 110K miles in first class on Cathay Pacific, but you need to call AA to book this award. 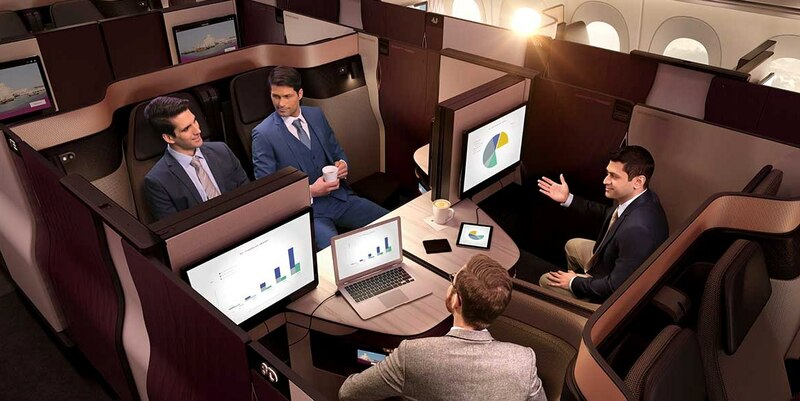 A one-way flight to the Maldives or the Middle East would be 40K miles in coach, 70K miles in business, or 115K miles in first class in an Etihad First Shower Class Apartment or in Qatar business class Qsuites, but you need to call AA to book this award. You can also connect to Israel on the same award by adding a Royal Jordanian flight from Amman to Tel Aviv. 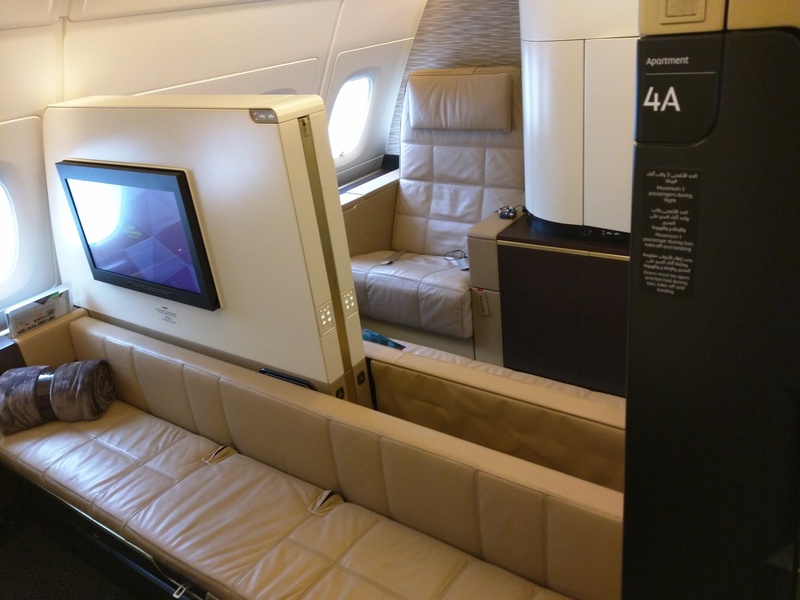 After the 10K mileage rebate for being a cardholder, I used 105K American miles to fly last March in an Etihad First Shower Class Apartment from the Maldives to Cleveland via Abu Dhabi and JFK. 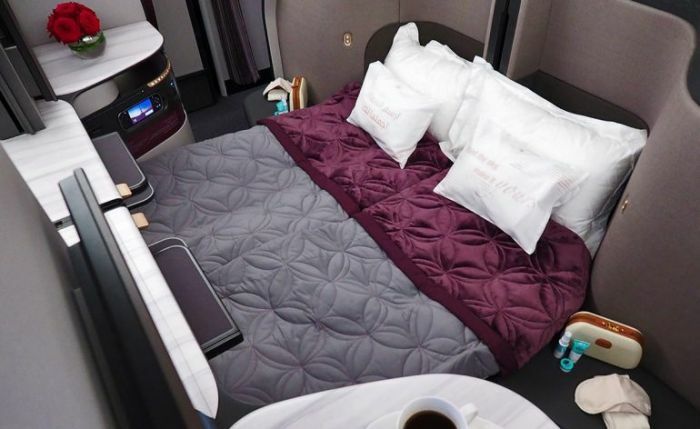 Qatar Qsuites are the most impressive business class seats you’ll find, perfect for solo travelers, couples, or families as it can be configured for 1, 2, or 4 passengers. Availability from cities like Chicago and Washington DC is wide open for your entire family! 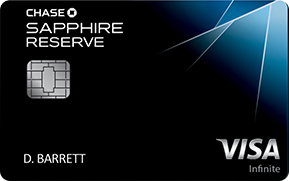 Will you take AAdvantage of these card offers? What has been your best AA award redemption? 70 Comments On "Less Than One Hour Left To Earn Up To 75,000 American AAdvantage Miles With Limited Time Offers From Citibank!" How is Citi with regard to applying for business cards while not having a registered business, like chase or more like Amex? How does Chase compare to Amex? So if I opened and closed a citi business card within the last year I can still open a new business card under a different business name? If I authorize an additional user, can they take advantage of free checked bag, carry-on, and boarding even if I’m not on the itinerary with them? Was that a answer to my question? Any reasonable way to use the points towards travel to Israel with a family.? Best bet is probably via Madrid or via London if you get an AA flight to London and BA flight to Tel Aviv. Just traveled to Israel via lhr this way in First taxes were minimum excellent flight! I was also credited over 3000 miles twice for the LHR-TLV & TLV-LHR legs!! The Citi AA Executive consumer card offers AA lounge access IIRC, no? FYI- free checked bags are only good on domestic flights. I found this out the hard way by getting hit with $200 in baggage fees for my family of four on a short trip to Cabo. Pissed me off quite frankly. Stupid AA. The last one I had was closed on 10/08/2016 can I apply tommorow? Approved for business and personal in the same hour. Real EIN. 7,500 miles off flights to or from dozens of rotating cities.” can we have a post one day explaining this benefit? I never understand how this works. Question: do I still get lounge access even if I cancel the card? How do I connect to TLV with Qatar or Etihad? Can you please explain a little more? I don’t really understand…. Connect to Royal Jordanian via Amman. For the same 105K or will it cost more? What am i going to do with the miles!?!? I already have over 100k miles that i cant redeem due to there being no availability on transatlantic routes!! Im not going to use them on domestic when i can have the same flights for half the miles.. If I were to go OW from NYC to TLV via either Japan or China would it be the same miles as in the post 37.5/40K in Y and 70K in J ??? 1. The 7,500 discount are only applying to domestic flights? 2. Will I still pay 70k/115k if I connect to tlv via London or via Amman? 3. Can you please tell which website would good to search availbilbily on those airlines like Etihad etc. That can only be booked with AA on the phone? Thanks Dan! I got a new Citi AA 70K card for both me & wife! applying for a business and consumer card in 1 day will count as 1 credit pull ? You write as long as you avoid BA no fuelcharges. What about Iberia? “You can still get a bonus if you currently have an open Citi American consumer card, as long as it wasn’t opened in the past 24 months.”. How do I get the bonus? Do I have to call them? Huh? Meet the spending and you’ll get it. Does the business card comes with free lounge access? Dan, please explain what justifies the $450 annual fee. Thank you! I don’t know the answer to the question. If you try, let us know. I called and they said if it’s a different EIN number it is eligible. Does anyone have experience with this? Silly Question, But is the link posted on the description still? I can’t seem to find the link. Turn off ad blocker to see it. If I got approved does that mean I was eligible for the bonus? Is the annual fee refundable at any portion of the year, so that I can cancel it after the miles post? Dan, If I had the Barclay AAdvantage Aviator Red Mastercard opened within the last year, will I still be eligible for the bonus? When is the 70,000 miles offer expiring? How do you appeal a denial from Citi? Sorry if this is out of place- doesn’t a cash back card give more value than rewards cards? Cash back you can get 2-3% (CITI Double Cash, AMEX Blue Cash Everyday). I don’t see that I generally get 2% value out of rewards cards. On Amex SPG, I have possibly gotten 2.25+- but those days are gone after the Marriott merger. On the Business cards- do expenses need to be actual business expenses or can it be personal expenses?? I have an LLC but it is inactive, no business expenses on CC’s right now, although that may change with time. I heard something about getting luggage at 70 pounds with executive card… Any truth? 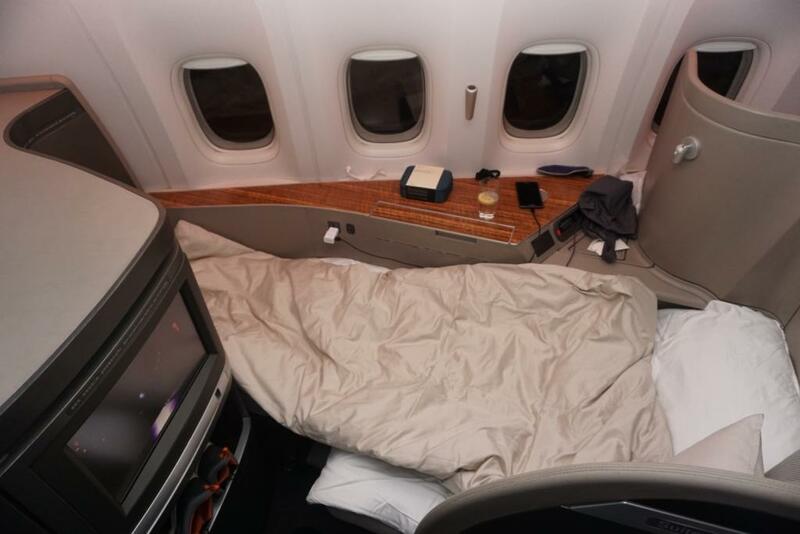 dan, if you just wanted to go to Dubai and not Maldives would it be less then 70k business and 115k first class to the Maldives? Dan, I just saw that Barclay is offering 60,000 miles after one purchase for AA miles on personal and business cards. Its a 95$ yearly fee. Is there any catch here or is this just an amazing deal? @dan deals – applied for the 70k Business card as a sole proprietor (used my name and SS) however they are saying that want paper work to show that i’m a business like a utility bill that says business (the didnt except my regular one). They say that even though i signed up as a sole proprietor I have to still show some paperwork and they arent budging even after i HUCA.